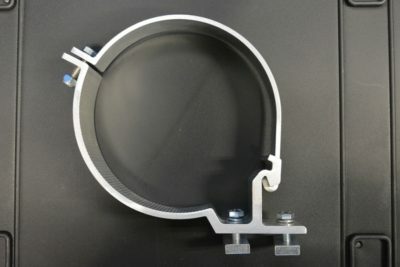 Tough and strong quality aluminium clamps to hold your PVC securely. Two piece interlock construction that easily fits onto most roof racks. Clamps that do not interlock can slide apart. 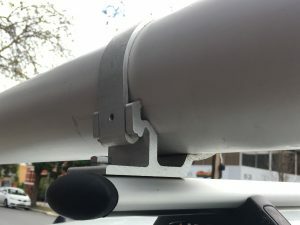 The interlocking KRS clamp was made in response to multiple failures of a competitors product, resulting in the bazooka tubes leaving the vehicle at speed. Don’t take chances … Be safe.